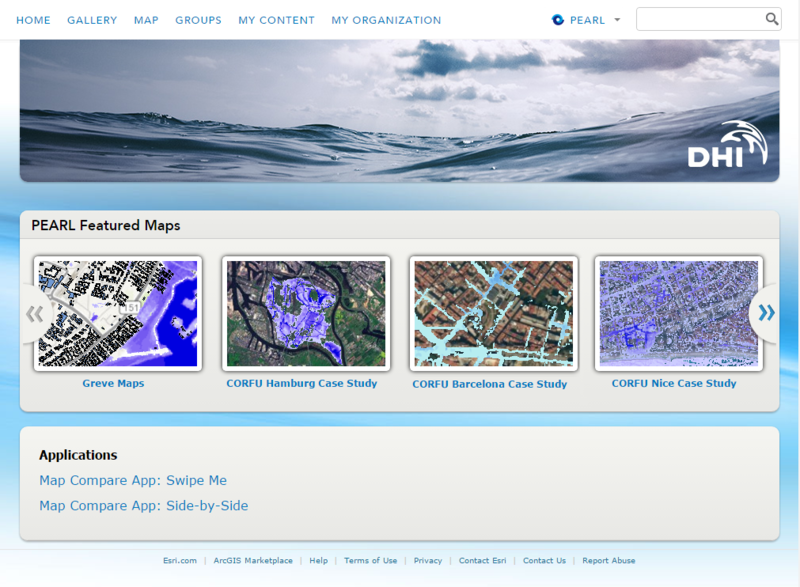 A site for online mapping and data sharing has been created to support flood assessment and mapping activities in the project. An example is provided for our case study of Greve, Denmark. The aim is to provide project partners with a platform and tools for sharing, presenting and examining mapped data among themselves as well as with the public. The site was created using ESRI’s ArcGIS Online – a cloud-based mapping platform that allows creation, sharing and publication of maps and geo-spatial data online. It is an established system with a well-functioning infrastructure that is useful for mapping applications in the project. With the site, user organizations manage their data and administer access to sites ensuring that data and information are shared only with the right audience. It allows for protected as well as public access so the site may be used by project partners to upload and edit their data while the public is only allowed to browse pre-created maps. It is also well-integrated into the ArcGIS system and works seamlessly with ArcGIS for Desktop.